The OW2 Annual Conference 2013 took place in Paris, on November 12-14. - RISCOSS Convention, November 12 during the Workshop Day. 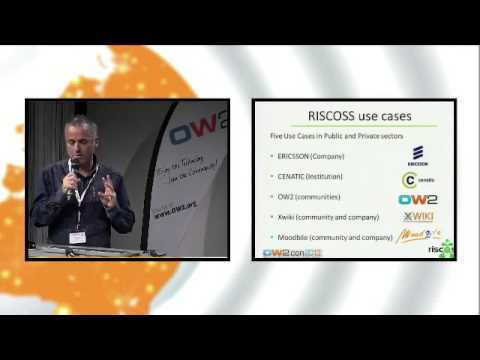 - RISCOSS was represented in a main OW2con'13 Panel discussion on November 13. - RISCOSS presentation, by Xavier Franch. (Download the slides here or watch the video below).